Here's some projects I've been working on lately. 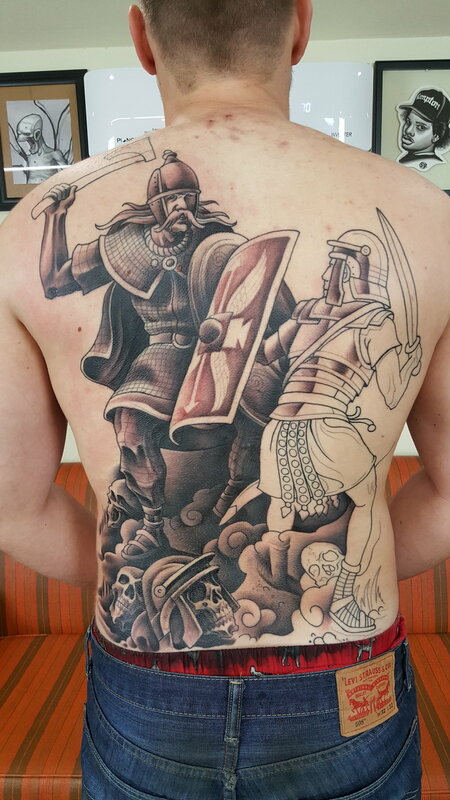 Got the second session done on the Celtic vs Roman backpiece. Probably 2 more left to go. 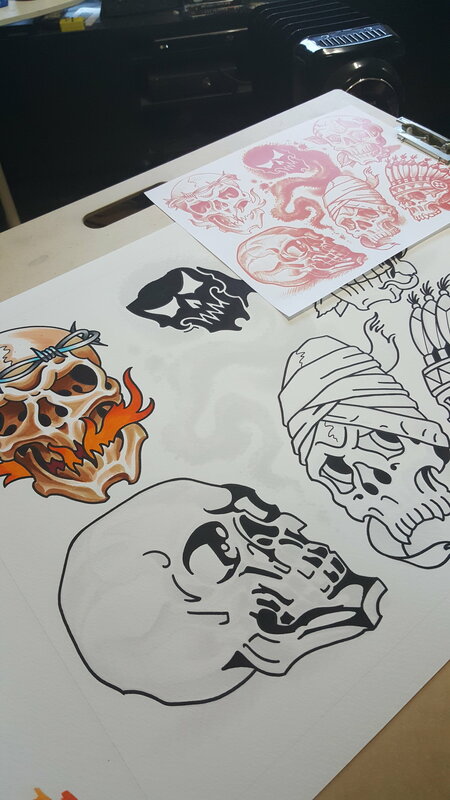 Here's the skulls I've tattooed off my newest set of flash. Here's some new things I've been working on. 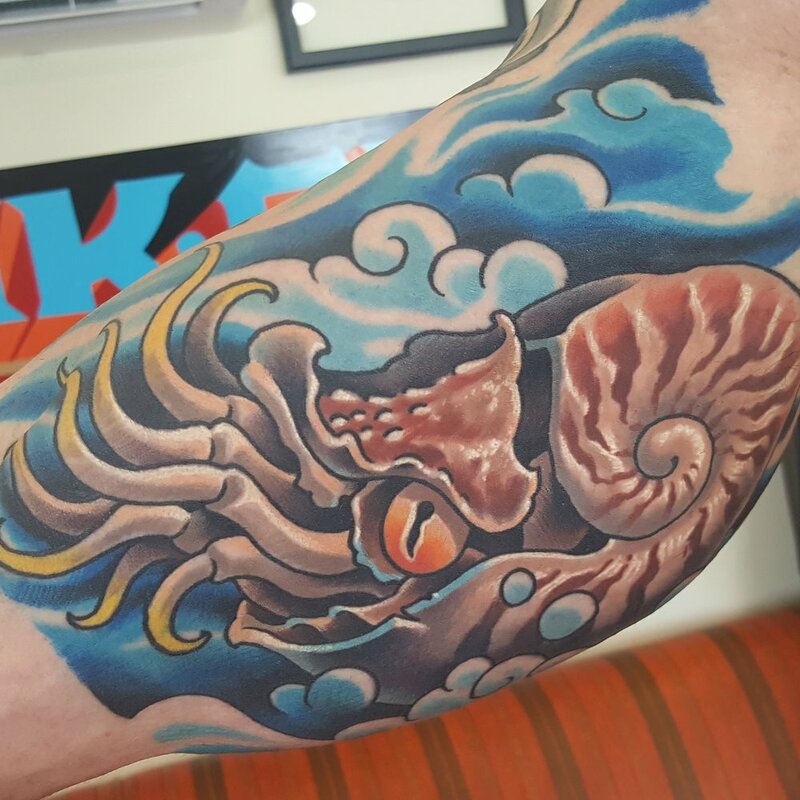 Email me to book a custom tattoo appointment at my private studio in Austin Tex as. 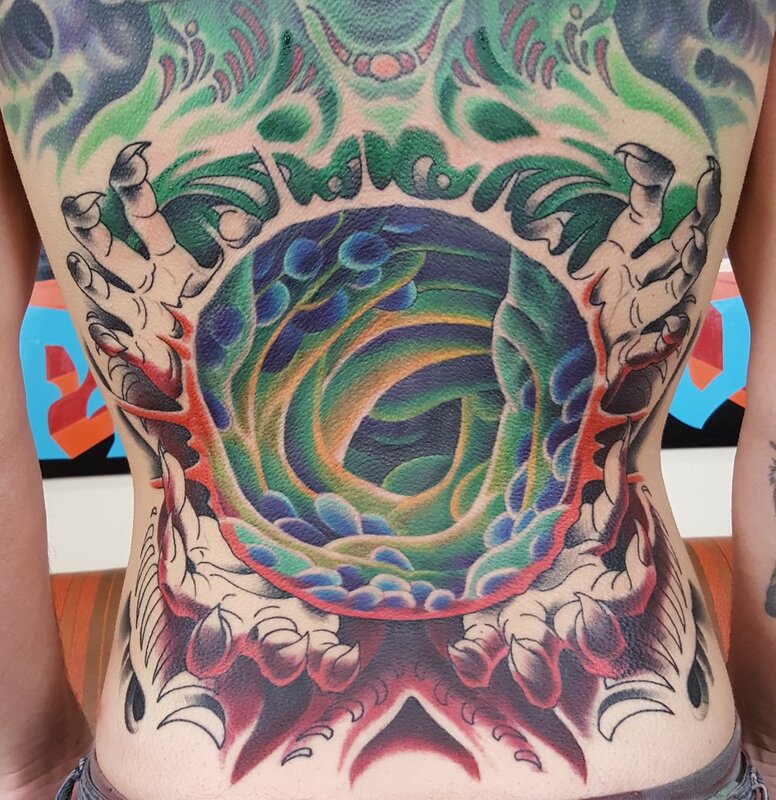 Finished up the green tara back tattoo the other day. This was a really fun project to do and I'd love to do more like it. 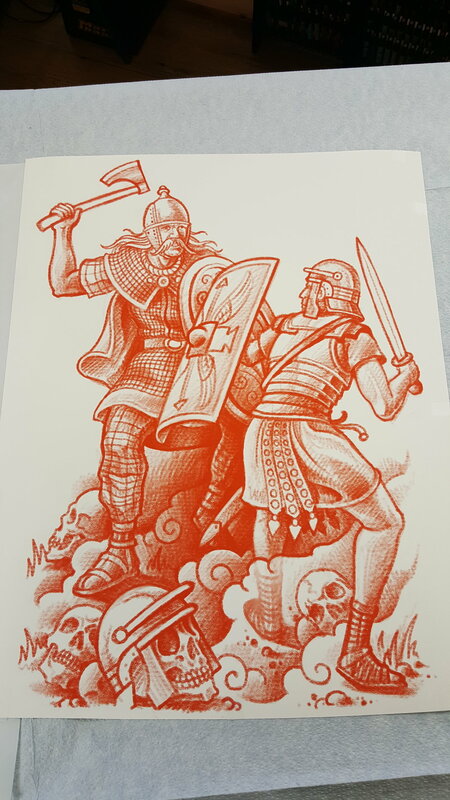 Started this Celtic vs. Roman backpiece today. 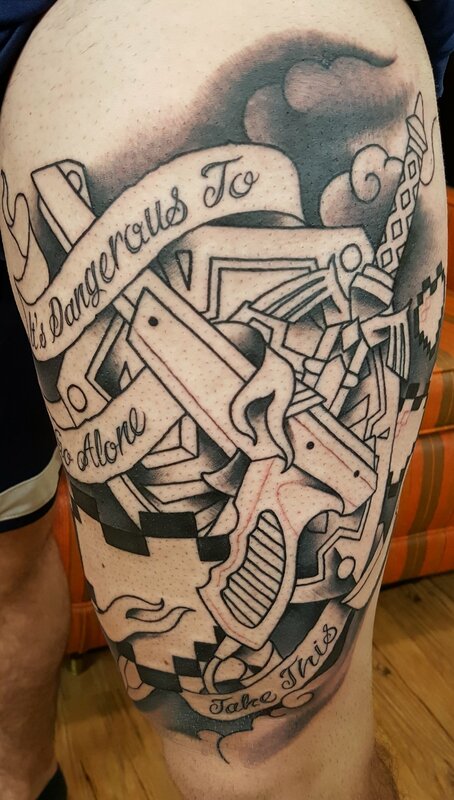 Going black and gray on this one instead of color. 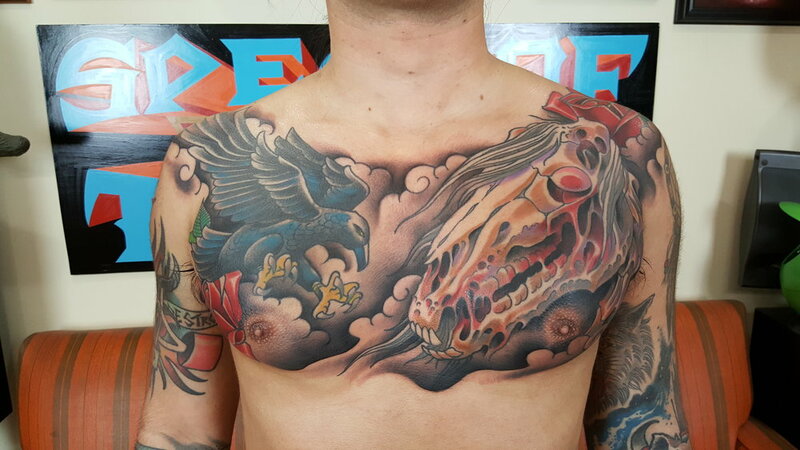 Email me to book a tattoo appointment at my private studio in Austin Texas. 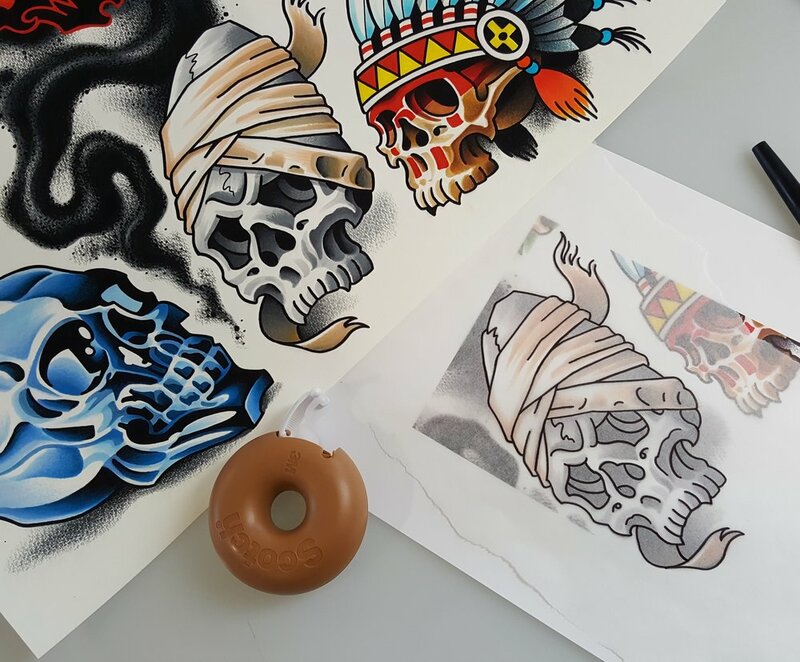 Here's a few of the pieces I've done from my new flash set. Email me if you'd like to get a skull off this set. 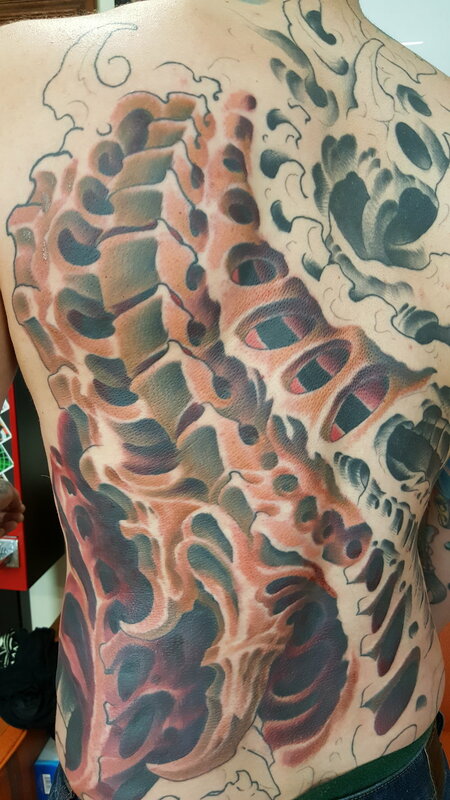 Got another session in on the bio man backpiece. Started the color on the bottom section, and worked on connecting them together. It's starting to look like one fluid piece now. 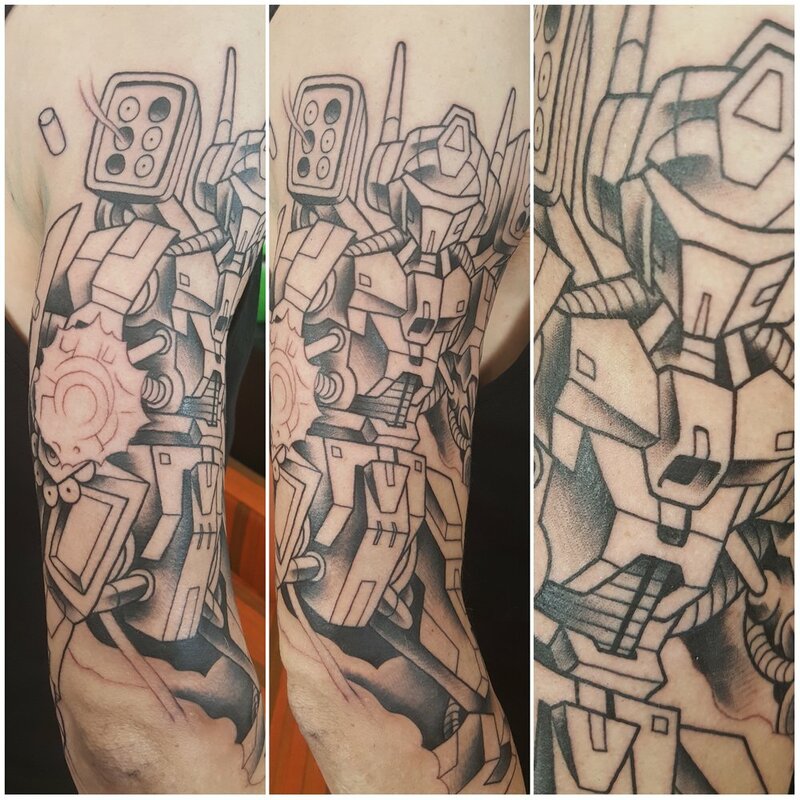 One more session to go on this. Started this NES Zelda tattoo the other day. 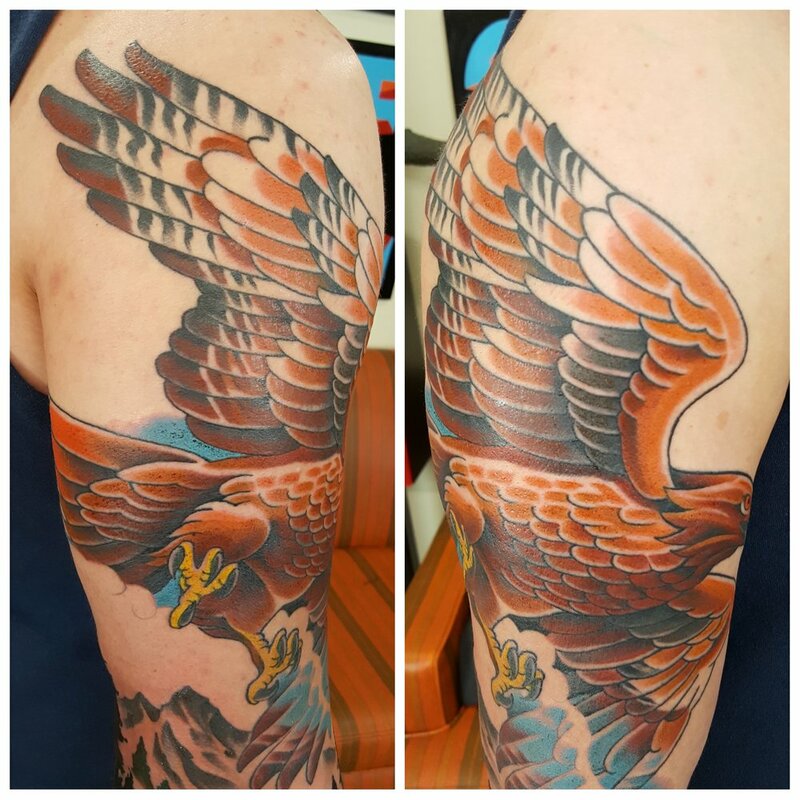 One more session to color and fine tune it. 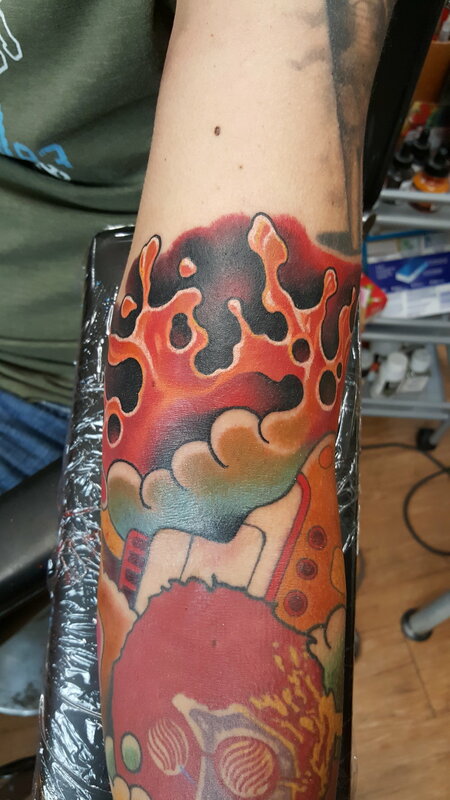 Did this piece today off my skull flash. 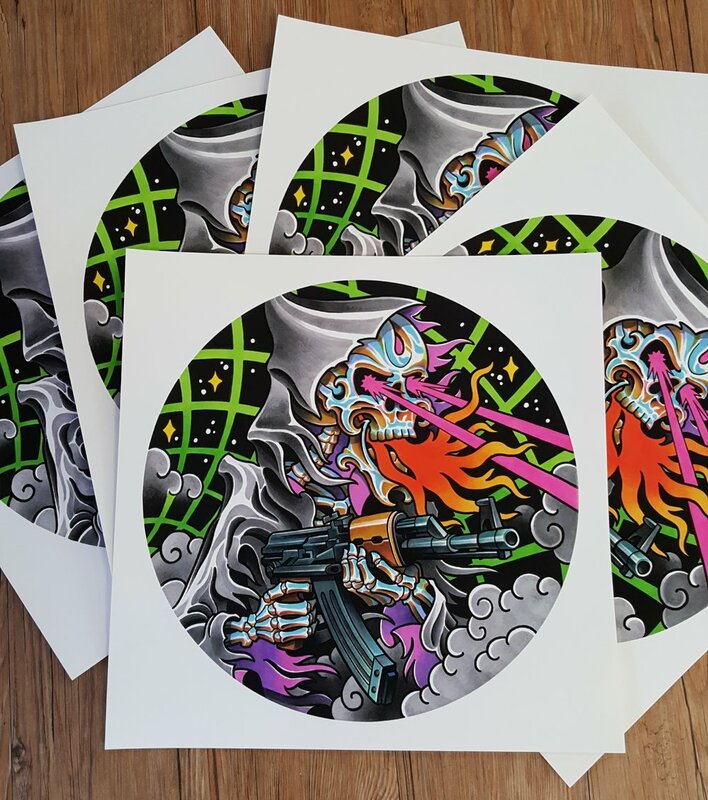 New 16x16 print available in my web store now. 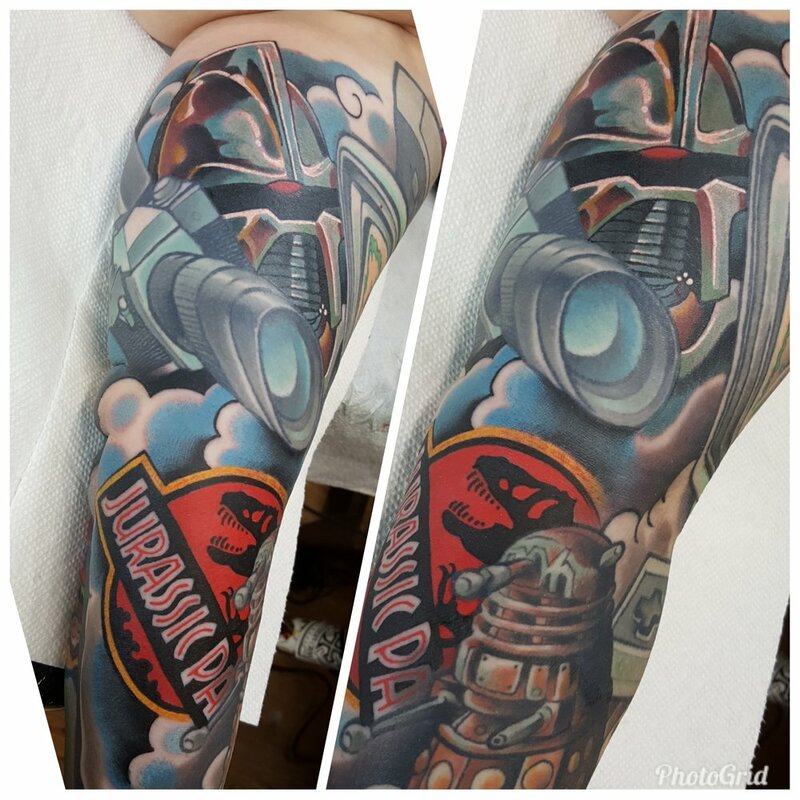 Filled in some spots on this sleeve with a cylon from battlestar galactica and a Jurassic Park logo. Did the first session of this lower back today. The upper section was done a few years ago. 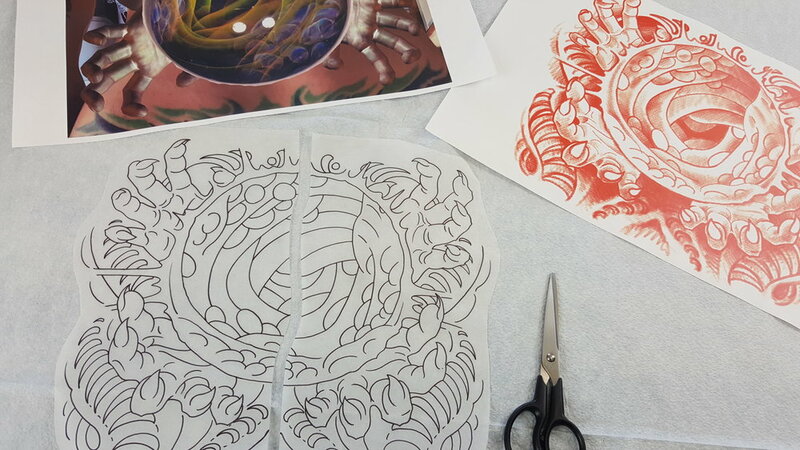 In the next 2 sessions we'll be coloring and tying it in to the upper back. 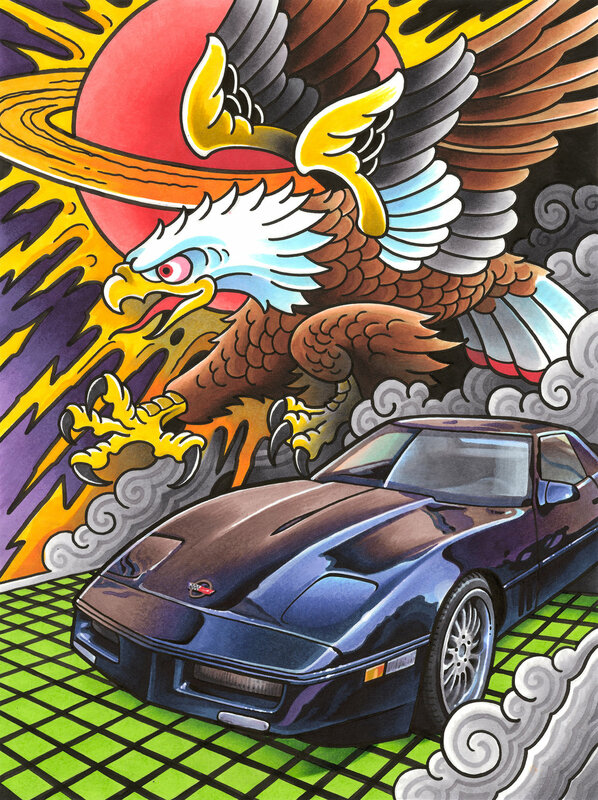 I have a new painting hanging at Art Realm Tattoo for the ORBS art show. Swing by the shop and check it out.